I know, whenever anyone says that, hyperbole is soon to follow. Perhaps here, too. But you can be the judge of that. It feels as if the Denver Broncos, the crown jewel of Denver, Colorado – all the way from our cowtown days to these days, when it seems like Calitown – are at a crossroads. This one feels big. Bigger than most. And I’m not talking about Sunday’s matchup with the Seattle Seahawks. It’s not a must win. It’s not a battle of two of the NFL’s elite teams. Not anymore. I’m talking about the season ahead. In Denver, it has a do-or-die kind of feel. Does it not? Having already mentioned the Seahawks already, however, remember Super Bowl 48? Of course you do. It was one of the most – if not the most – painful Super Bowl losses in Broncos history. But the thing is, there are plenty to choose from, and that’s a statement about how truly great the Broncos have been throughout their illustrious history. Besides, now the Broncos have been on the right side of that outcome three times now. Coming up just one game short of the team’s annually stated goal? Well, that’s certainly forgivable. The Seahawks went to the very next Super Bowl and lost (…shoulda run, coach). And the Broncos learned a lot from the beatdown administered by Seattle’s Legion of Doom Defense; John Elway immediately went to work addressing the team’s deficiencies, and two seasons later the Broncos found their way back to the Super Bowl and won. Five years later, though, nobody thinks either team has a shot in hell of sniffing, much less lifting, Lombardi. With all due respect to Seattle, I’m guessing this feels a little more like the norm. In the 43 years the Seahawks have been in existence, they’ve posted 17 losing seasons (and four 8-8 campaigns). They’ve been to three Super Bowls, winning one. The franchise’s overall record hovers just above .500 at 334-325-1. Not bad. But not Denver. By contrast, the Broncos have been around for 59 years. They’re 470-404-10. They boast eight Super Bowl appearances and three titles. Since joining the NFL in 1970, they’ve only had nine losing seasons. Nine! Denver hasn’t seen back-to-back losing seasons since 1972. Not only is losing “just not a thing” here, it’s not acceptable – for Pat Bowlen, for John Elway, for you, for me. 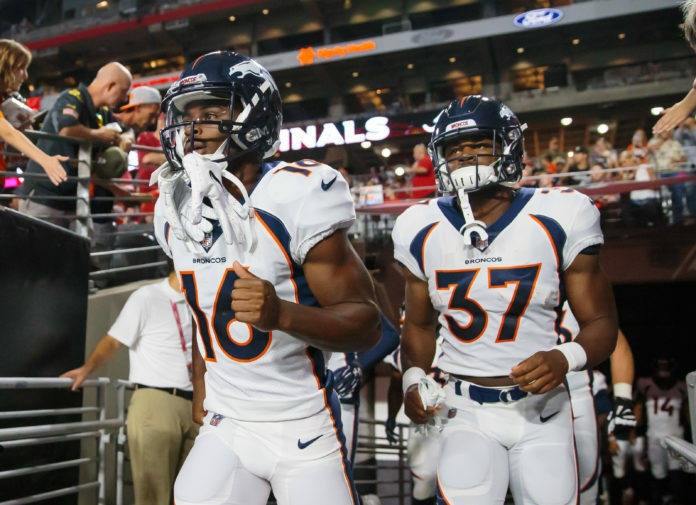 Right or wrong, the Broncos are held to a different standard than any other franchise in town, but I’m positive it’s a standard that anyone tied to the organization gladly accepts. But this isn’t a column about the Broncos versus the Seahawks – that would be a little like comparing the Yankees to the Rockies (okay, maybe not… how about the Red Sox and Astros?). This is a column about the Broncos – then, now and going forward. The then is indisputably great. The now is disputable and often disputed. And the future is unknown. In Denver, we know what great looks like. It looks like The Drive, The Helicopter, The Duke and The Sheriff. It looks like Pat Bowlen. And it’s not that those guys are here. It’s more about how they got here – why they got here. John Elway is Colorado’s favorite son. That’s not an opinion; it’s a fact (my apologies to Tim Allen, Scott Carpenter, Jack Dempsey, Whizzer White and Chief Ouray). He’s Colorado’s version of E.F. Hutton; when John speaks, we listen. He’s arguably deserves the lion’s share of credit for seven of Denver’s eight Super Bowl trips, and all three of the Lombardi Trophies displayed in the lobby of the Paul D. Bowlen Memorial Broncos Centre in Dove Valley. But for the first time since – geez, I don’t know – No. 7 the rookie lined up behind the guard in 1983, Denver is regularly questioning Elway and plenty of his decisions as the team’s general manager. And if John Elway deserves credit for the Broncos’ impressive arsenal of hardware, it was always soon-to-be Pro Football Hall-of-Famer “Mr. B” set and met such lofty aspirations. Under Bowlen, the team never endured back-to-back losing seasons. In fact, Bowlen claims more Super Bowls than losing seasons. Sadly, poor health has prohibited the day-to-day presence of the greatest owner Denver sports has ever known. That’s not to say those who’ve been entrusted to carry out his philosophies are either incompetent of indifferent – they’re not at all – it’s just different. And the future of the team’s ownership situation is up in the air. Mike Shanahan, the greatest coach in Broncos history, was shown the door following three-straight seasons of not making the playoffs. Shanahan was 8-8 the season before he was let go. Should the Broncos miss the postseason this year, it would be the third year in a row. Getting rid of Joseph wouldn’t surprise anyone, but what if bigger changes must take place to return to normal? After firing Shanahan, it took the Broncos two more seasons and Tim Tebow to return Broncomania and the playoffs to Denver. And after Tebow, Manning kept things rolling, just like old times. Will the new Denver patiently wait before getting distracted by hiking and biking, Rocktober or simply beating rush hour traffic? On the eve of the 2018 NFL season, there’s an uneasy, unfamiliar feeling in Denver. What happens if the unfamiliarity of losing becomes more than just a feeling? It sure seems like a season that has bigger implications than simply being better than 7-9. I don’t think that’s hyperbole. Then again, winning cures everything. It always has.